Who Is Evan W. Walker? 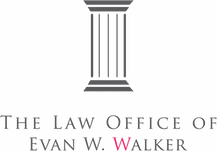 Evan W. Walker is a La Jolla attorney who has practiced law since 2008. He is licensed to practice in California, Connecticut, and Louisiana. His entire practice has been in litigation. After graduation, Evan worked for a New Orleans insurance defense firm. He defended insurance companies against Hurricane Katrina lawsuits brought by homeowners and business owners. In 2010, he and his wife moved to New Haven, Connecticut, so his wife could complete a medical residency at Yale. During the next few years, Evan worked for Travelers Insurance Company defending countless personal injury lawsuits. In 2014, he moved to San Diego so his wife could complete a medical fellowship at UCSD. He then opened his own firm to represent people after years of defending insurance companies. Evan spent almost a decade as a defense attorney who defended insurance companies from personal injury and property damage lawsuits. He knows how insurance companies bully people and deny claims. And he knows how to fight them. Evan is a Featured Faculty at Attorney Credits, a nationwide CLE company, and a regular contributor to various podcasts and publications. He has also been interviewed by San Diego television stations about his cases and practice. See his YouTube page for interviews. Looking For A San Diego Personal Injury Lawyer Or A San Diego Property Damage Lawyer? Why hire Evan as your San Diego Personal Injury Lawyer or San Diego Property Damage Lawyer? You will NOT be ignored. 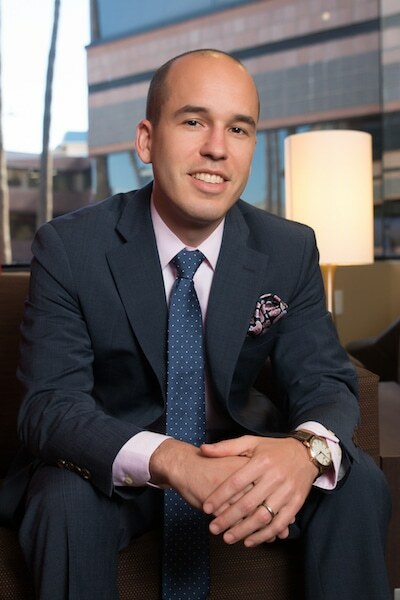 Evan handles all aspects of your case and will not pass you off to a secretary or a paralegal. You WILL be informed. Client communication is key. Evan promptly returns client’s calls, emails, and texts. And he provides constant client updates about the case. Your time will NOT be wasted. Evan handles your claim with precision, determination, and confidence. Time will not be wasted. You will hire an attorney who is HONEST. Evan strives to be straightforward and earnest with his clients. He will not overpromise and is upfront with his fees. Evan will focus on the client’s best interest. And he will provide a realistic assessment of what can and should be done. You will hire an attorney who has worked for clients just like YOU. Read what former clients have to say at Reviews. See Evan’s television interviews at Press, and read his writings at Publications. Consultations are free. Personal injury claims and most property damage claims are done on contingency. That means Evan is not paid unless you win. Evan’s success is tied directly to your success. If you don’t hire a lawyer you’re on your own. You will face insurance companies alone. You will have to deal with important deadlines on your own. And you will have to navigate the legal system’s confusing array of rules and procedures on your own. It’s hard to go at it alone. It’s better to contact a San Diego Personal Injury and Property Damage Attorney who can give you a free consultation about your case. It’s better to have an attorney by your side who can battle the insurance companies and help navigate through the legal system. The right attorney saves both time and money.